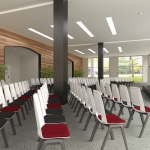 The contemporary design and portability of the Pogo multipurpose stool make it perfect for guest seating and collaboration. 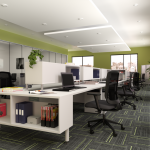 The ergonomic design improves posture and enables active sitting. Who needs the gym when you’re active while sitting! 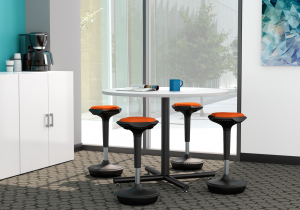 The Pogo stool goes well in any environment, be it at a bar in your break room or as a stowaway guest chair. The unique design will catch eyes, and its rounded base makes sitting fun again. The portability of the Pogo means you can take it anywhere and everywhere! With our Flexi Fabrics, make your Pogo uniquely yours. Pop your office environment with the Pogo!